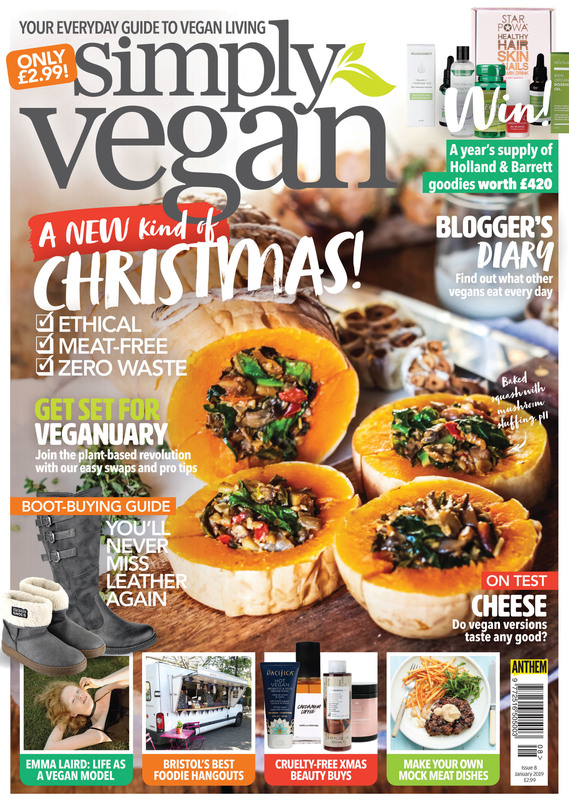 Create a new kind of Christmas with the new issue of Simply Vegan! In this issue, we bring you the best meat-free recipes, including Gas Oakley’s ultimate vegan roast, along with tips for making your celebrations more ethical and less wasteful. This issue we also put vegan cheese to the test, review upscale restaurant chains (are their vegan menus any good?) and shop the best cruelty-free winter boots.